This month, we’re talking all about cosmetic surgery. Stay tuned for a Q&A with the doctors, in-depth descriptions of the procedures offered, and more to help you choose the right surgery for you. First, here’s an overview of this specialized surgical category. Cosmetic surgery is not all about vanity. Often, after successfully completing an incredible weight loss regimen, patients can feel stuck while still seeing their previously overweight selves in the mirror. It’s no secret that “toned and tightened” is the default for looking good and a major weight loss can result in some very untoned, excess skin. 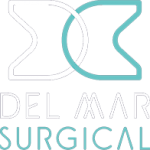 The Olde Del Mar doctors are here to help — they understand your journey to a happier, healthier life and can provide the surgical solutions to help you achieve those goals. While cosmetic surgery can certainly increase your self-esteem, it is very important to remember that it can only alter skin and bones. If you chose to undergo cosmetic surgery, do it for no one but yourself. It isn’t a guaranteed fix for relationship issues, work promotions, or other areas of your life with which you’re unhappy. Cosmetic Surgery procedures, such as the ones offered at Olde Del Mar, are those that are defined by the American Board of Cosmetic Surgery as “focused on enhancing appearance”. Conversely, plastic surgery procedures are defined as those “focused on repairing defects to reconstruct a normal function and appearance” such as results from trauma, disease, or birth defects. 1. Any fat removed with liposuction or SmartLipo Triplex can come back. False: The body stops producing fat cells at birth. Because these cells have an elastic property, they’re able to expand as you gain weight, but once the cells have been removed, they cannot grow back. 2. It’s something only women do. False: Practices are seeing a steady increase in the number of male patients they treat. A recent study by the American Academy of Cosmetic Surgery found that 12% plan to undergo a procedure in the near future. * In fact, Botox, hair transplantation/restoration, laser hair removal, and microdermabrasion, followed by liposuction, are the most popular procedures among men. 3. Liposuction gets rid of cellulite. False: While traditional liposuction can actually make the dimpled skin more apparent by removing the fat layer that is coating the fibrous bands of tissue between the skin and muscles, the Smartlipo TriPlex system performed by Dr. Farinholt uses thin laser fibers to liquefy fat cells and tone the skin in the area by promoting healthy collagen production. 4. There’s no lasting treatment for cellulite. False: While there’s no substitute for maintaining a healthy diet and exercise regimen, the Cellulaze™ procedure is proven to break up the bands of fibrous tissue that pull on the skin and cause the “cottage cheese” appearance. Read our post about What to Know about Cellulaze — the Fat Blaster. 5. A surgical face lift is the only way to see lasting results. False: Although a facelift performed by a plastic surgeon may be the best option for dramatic results, such as a new nose. If you’re looking for a less-invasive procedure with natural results, consider Precision TX at Olde Del Mar. This innovative new treatment is a one-time, one-hour laser contouring procedure that stimulates collagen production, which creates improved skin elasticity, thickness and texture. We’re excited for this month’s blog series on cosmetic surgery and can’t wait to share more about the options available at Olde Del Mar. 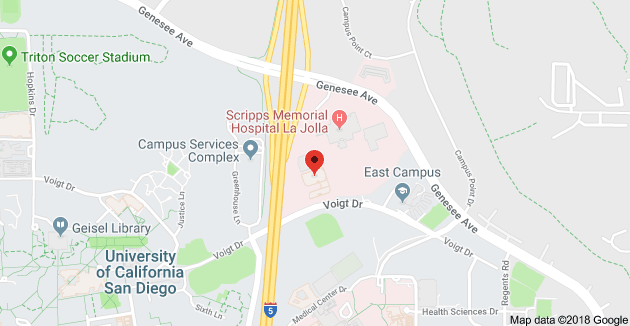 To learn more about the cosmetic surgery procedures offered by the doctors at Olde Del Mar Surgical, schedule your consultation online or call (858) 457–4917 today.